This is just a quickie post. I used to be afraid to make anything that required science… Until I realized that all cooking IS science! Thanks to my boyfriend, Alton Brown (don’t tell The Rock Star) I have learned to embrace it. 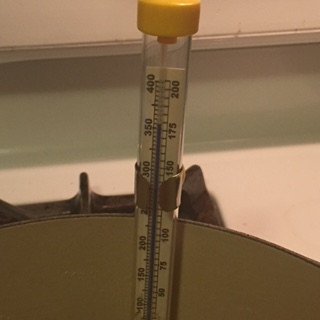 This caramel requires a candy thermometer. They are cheap and easy to find, lots of grocery stores have them. Get one and throw it in your drawer… You never know! Use this versatile ingredient as a topping, a mix it, an icing or as the feature ingredient in cakes or bars! When nobody is looking, use it as a spoon full of freaking deliciousness! 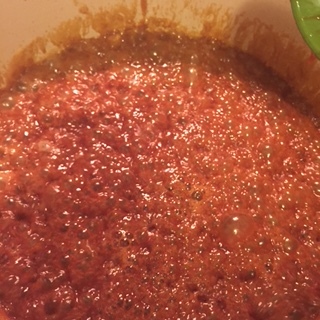 Heat sugar in a large sauce pan over medium heat, stirring constantly. 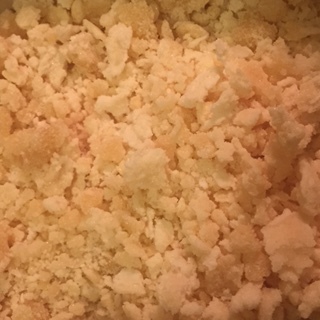 The sugar will begin to get chunky and crackish in appearance. Yeah, I said crack… You know, at least what crack looks like on TV. When the sugar starts to liquify, begin to break up any clumps while stirring. Once in liquid form, add your candy thermometer and heat to 350 degrees being careful not to scorch the caramel. Seriously… it will scorch in a millisecond. Once it hits 350 degrees carefully add butter. Take caution as it will hiss and spit at you. Continue to stir constantly until butter is melted. 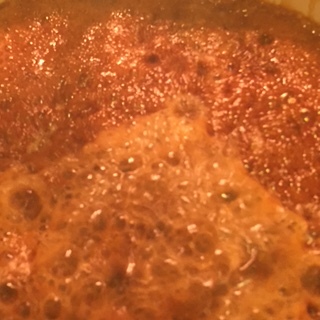 The caramel will be bubbling vigorously. Once butter is melted add cream, this too will spit and spatter. BE CAREFUL! Continue to stir and allow to boil for three minutes. Remove from heat and add salt. 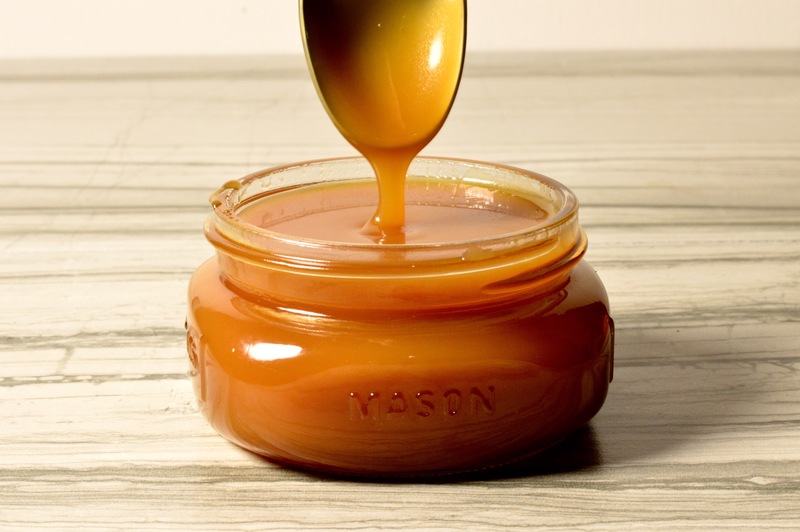 Allow to fully cool before pouring into jars or storage containers. in a tropical space and is close to the equator.